Oricol Environmental Services is constantly developing new and innovative ways of turning waste into a resource to help make the world a cleaner, safer place. Their business activities are focused on diverting the maximum amount of waste away from landfills for their many industrial and corporate clients. Their vision is a future in which resources will continuously be reused and there will be no net effect on the environment. We implemented a fully responsive website solution. We produced custom animated graphics to show how the company delivers value to its clients in a clear, easy to consume format. We helped improve its internal sales and marketing document management by creating a secure, virtual company content library to streamline access to information and improve the sales process. 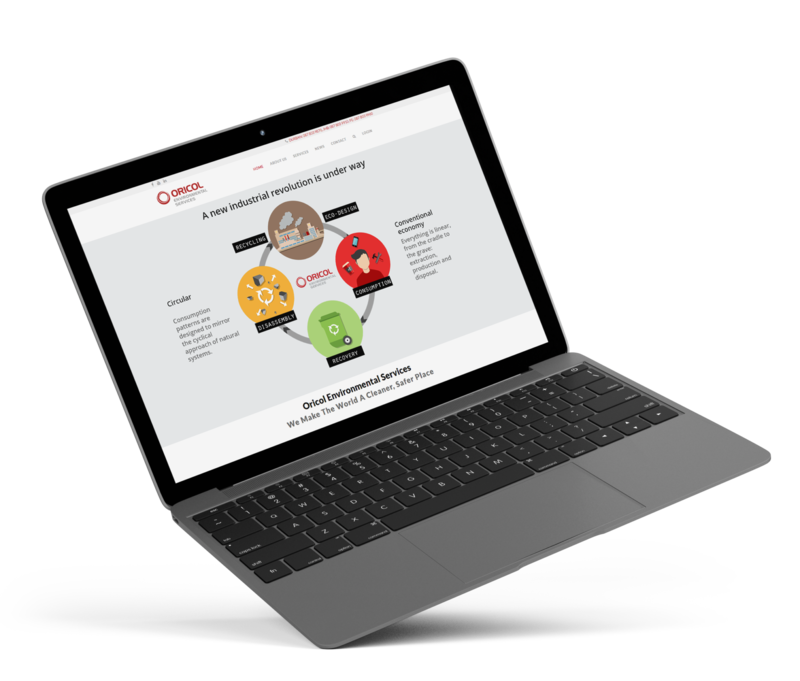 We worked with one of our long-standing clients, Oricol Environmental Services, to redesign their website and develop a secure web-based sales tool. 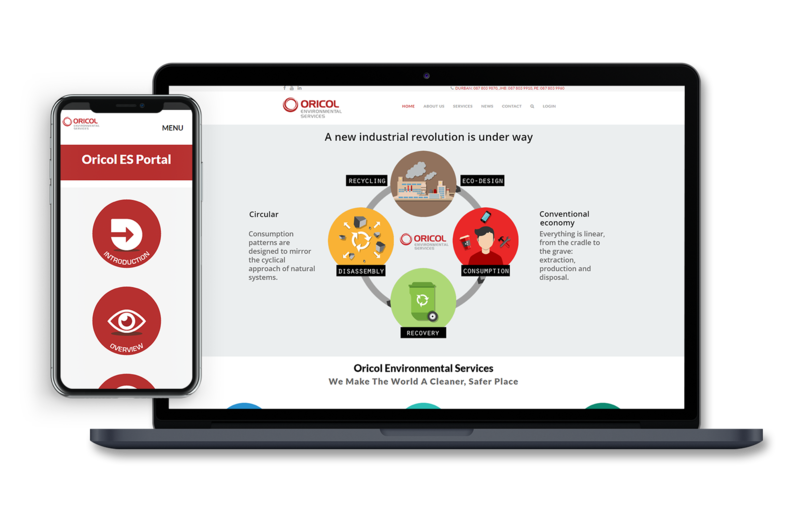 This was the third website redevelopment we had completed for Oricol and involved a complete site revamp and the additional development of a secure login sales portal and knowledge base. Oricol believed its existing website was no longer effectively communicating its value proposition to its ideal customer. The copy on the existing website was too technical and lacked key search terms which hampered search engine optimisation. Sales team members in Durban, Johannesburg and Port Elizabeth were also using documentation that was not aligned to official corporate guidelines, a problem the secure portal could eliminate. We decided to focus on clarity and flat design in our approach. 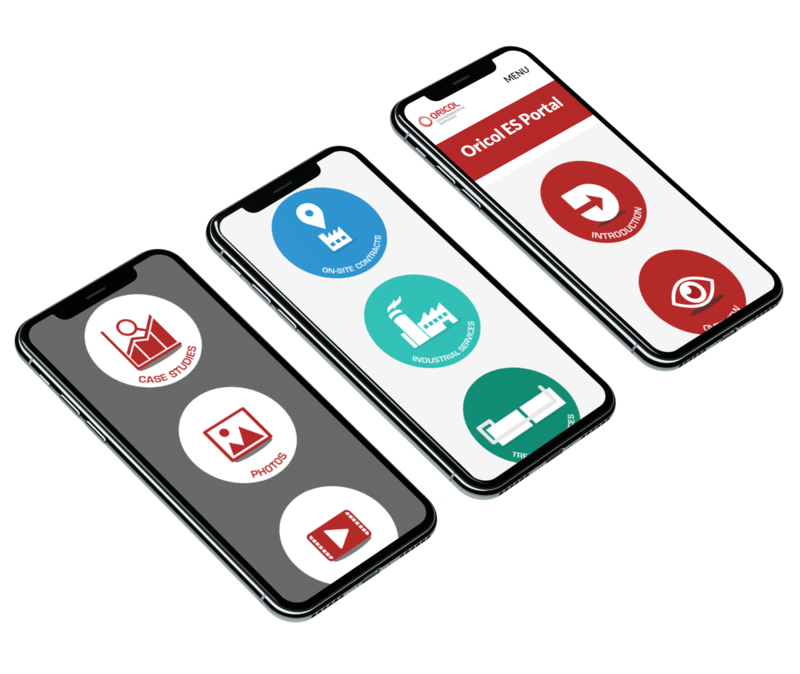 By showing more (using graphics and animations) and telling less (reduced the amount of copy) Oricol’s full-service offering became at once engaging and easy to understand. The secure sales portal features the same categories as on the main website for easy navigation. Additional sales material such as presentations, references and certifications can be uploaded for easy viewing on mobile devices for the sales reps in the field – ensuring they’re all singing from the same hymn sheet. A fully responsive Joomla CMS website that is informative and engaging. The use of colour (same colour for each service on the main site and the secure portal) and custom developed icons makes navigation a breeze on any device. The animated graphics and simple imagery make it easy to understand the message and takes away the need for too much copy. By replacing the technical, corporate copy with short sentences using keywords that potential clients would enter a search query the pages are better optimised. The “app” look and feel of the secure, responsive online sales toolkit make finding the relevant information quick and easy for reps in the field. The integrated feedback form enables “on-the-go” responses from customers.